2. the egg stands upright on the bottom or in the middle. This means the egg is not that fresh. It is still perfectly acceptable to eat (as soon as possible) but I wouldn't recommend in baking. 3. The egg floats on the top. This means that the egg is already expired. It's not suitable neither to eat nor to use it in baking/cooking. How do I know this method is good? It's pretty simple. The eggshells are porous, and this means that they allow the air to get through. Fresh eggs have less air in them, and that is why they sink to the bottom. Older eggs have had more time for the air to enter the shells, so they will definitely float on top. Method two of how to test eggs for freshness is for those people who realize only after cracking the egg, that they are not sure about its freshness. a thick white (which doesn't spread much) and a nice rounded yolk that will stand up. This means the egg is fresh. a very easy breakable yolk or a flattened one means the egg is old. check the yolk: - if it's round and firm → egg is fresh - if it breaks as soon as you crack it → egg is old. You can also give the egg a little sniff after it's cracked. The smell of a rotten egg is something you can't miss. If the egg smells bad after cracking it, you should definitely through it away. If you are buying the eggs from the store, don't forget that sometimes the expiration dates will not tell you precisely about the freshness of an egg. If you have your own chickens (like I do) testing the freshness of an egg is still important. Why? Well, I, for example, don't really remember when I collected the eggs. I don't store them accordingly to the date I collect them. So I always make sure I don't use an old egg. What about you? 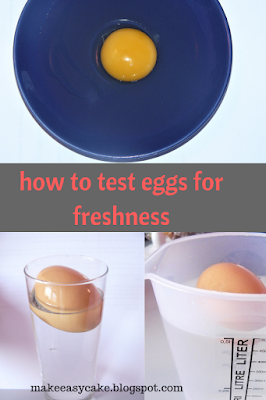 Do you know any other tips on how to test eggs for freshness? I would love to hear them. Make sure you spread the love and share this post. 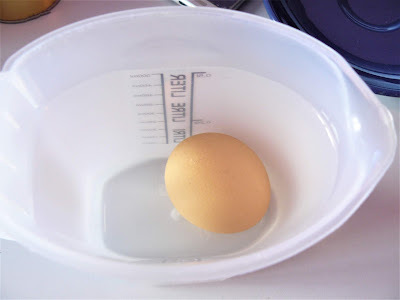 Wow, I learn something new today from this post, how to check if the egg is fresh or old. I eat eggs daily and I am going check my eggs before I consume them. This is really handy for me. My daughter has just started eating eggs and I am always unsure of how fresh they are. This is really fascinating. I never thought much about the eggs freshness other than the expiration date. I am going to look a little closer from now on though. I will keep this in mind. Sometimes I have no idea if the eggs are okay or not. I would hate to throw them out if they were still okay! This is really great it is never nice when you end up with a rotten egg and don't know. I knew about the floating test, but not about the yolk. Thanks for sharing! I always try to keep things as long as possible, but of course without being unsafe too. Good tips! Eggs go really quick in my house so we would never have this problem!! OMG is it so bad that I didn't even know you needed to do this??? Thanks for the awareness and the tips!! We love eggs!! I always knew the test of floating in the water, but I never knew why. Now that I know, I won't have to look it up every time to remember if floating is good or bad! i def need to start checking the freshness of my eggs more often! never thought of this! thank you for the information! Wow, thank you so much your article is very useful. Now I know how to test for egg freshness. Thanks for sharing these tips. I recently learned the first one about a year ago. Oh this is so great! Thank you for these great tips on making sure we have fresh eggs. Those tend to stay in a fridge for a while at times. this is definitely useful information. didn't know that's how you test an egg with friendship. This is awesome! I honestly never check my eggs (I know, I know, I really should) and I never really knew how either. This is super helpful - thank you for sharing. Oh wow these methods are so great! I never thought that if the egg white was clear it meant it was not fresh. This great post, I need to check the eggs, Usually I buy from Grocery store.Yes they remain in fridge for long time. This is a great post!! I go through eggs so fast, but I will remember this! Thanks! Great tips! I like using fresh eggs for whatever I cook or bake. And I really hate it when I get to open a rotten one. Pfft. Consider my mind blown. I had no idea that it would be so easy to test the freshness of an egg. Thanks for sharing these tricks. I think eggs are a staple in almost every home yet I wonder how many people actually check for freshness. These are easy to do and totally fool-proof! Wow! I didn't not know a clear egg white means it's old! Thank you for sharing this!! I didn't know about the clear egg whites. I would assume that if it's clear it's fresh, but turns out it's the other way around. There's nothing like fresh eggs in the morning. That's why we love going to the local market whenever we get a chance. I didn't know there was a way to test the freshness of the clear egg whites. That's pretty interesting. We like getting fresh eggs from our local store. What a super helpful set of tips! I will have to teach these to my girls too - they are just starting to learn how to cook eggs! This is really helpful! I knew both two ways, especially the first one I remember my grandmother teaching me how to test the eggs. But the second one is an easy way too. I wouldn't have thought to test eggs freshness these ways. But I will definitely have to do this when making things with eggs in the future. 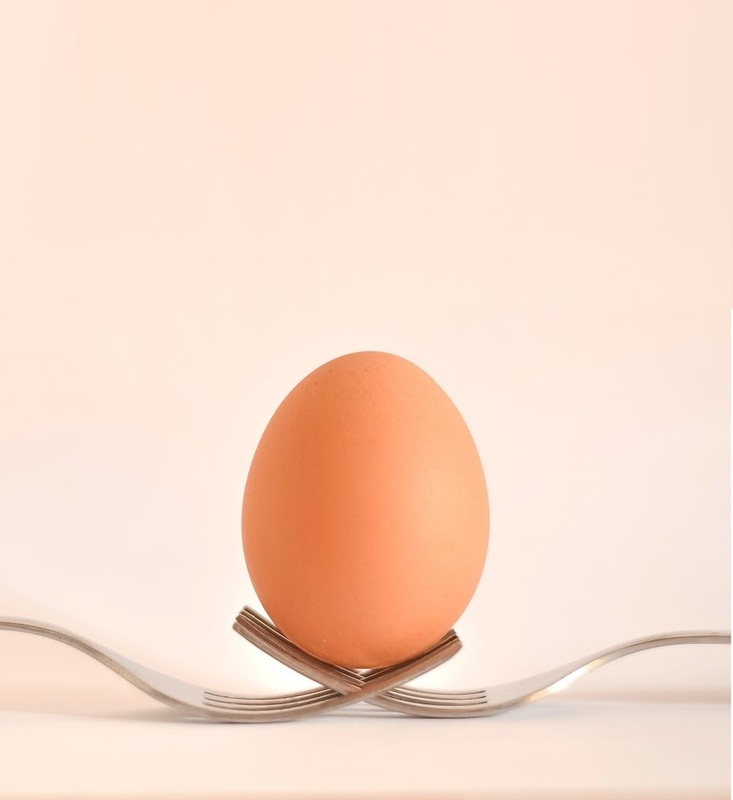 What wonderful ways to determine if eggs are good or not! Nothing worse than getting ready to cook/bake, only to discover that the eggs aren't good. Excellent tips. I often wonder if the eggs I am planning to eat are fresh. My hubby taught me about this but I don't test eggs always. I only do that when I remember ;-). Those are some really useful tricks! Some eggs go bad really quickly too. You learn something new everyday. I try to only buy eggs when I need them so they don't go bad, but at least now I have a way testing them to make sure they are at peak freshness. These are such good tips! We go through about 18 weeks a week in my house, so we rarely question if they are ok, but I learned a lot from reading the post. I did not know if the yoke broke instantly it meant it was an old egg! My kids love eggs, so this is a really helpful blog. Now I know the difference between them. This is such a great tip! I had no idea there was a way to test besides cracking one open. Thanks for sharing. Great tips!! Eggs either go extremely fast in our house, or sit forever and go bad! Either I'm constantly buying eggs or throwing them out! great tips for knowing if an egg is fresh or not. I thing that both methods are useful observations for determining freshness, but i prefer to crack it and visually check. I remember this technique taught us back in grade school in a science lecture and I find it so cool! Quite weird that still many doesn't know about this. Wow! Great tip you have put up over here, I definitely learned something today!To me, i would go for method 1, rather than cracking one to test. I know the first method of checking if it’s gonna float or not. Thank you so much for sharing this trivia to us. It will really help is to check the freshness of the egg. I didn't know you could tell an egg's freshness just by looking at it! I need to keep these methods in mind, especially when I bake, because I often keep eggs for awhile. This is so helpful! Especially good to know in making deviled eggs -seems the older eggs peel easier. Maybe you can do a post on peeling hard boiled eggs! I often wonder about the freshness of eggs, especially when you buy them in the grocery store. I am going to start using Method number one. I use the water method to check for freshness. It's definitely worked so far. I haven't smelled a rotten egg in a really long time and I hope to keep it that way!!!! This is such a helpful post when you are really not sure of how fresh the eggs are - sometimes I lose track of how long they've been in the fridge for - I will keep this in mind for those occasions. Thank you! I never thought of this before. We buy eggs once or twice a week in our house, so we assume they are always fresh. I have never thought about testing it's freshness after it's been cracked. That's an awesome idea. I have been doing the glass of water trik for years and years and it never failed me so far! Great post! I always appreciate good cake! This sounds amazing! I had no idea how to check for old versus new eggs, so I'll be keeping that in mind. Wow I had no idea about any of these methods! This is so helpful to know as I make eggs all of the time! Such an awesome tip! I have always wondered how to do this! Great tips! Lack of freshness of the egg can easily ruin any dessert which is absolutely unacceptable! I'm always so keep with the quality of the yolk of an egg I'm to prepare; looking at its color especially. I didn't know about the floating egg test. I will have to remember that for the future. Although usually we don't have eggs long enough in the fridge to be strictly worried. This is some really great advice. I have always just gone by what the carton states in the stores. I found some excellent tips here. I tend to smell my eggs first before using it, but sometimes i can be wrong when concluding if an egg is bad or not. Thanks for sharing. I'll have to share this info with my mom. She eats eggs everyday! Wow! I'll definitely have to try this out myself.